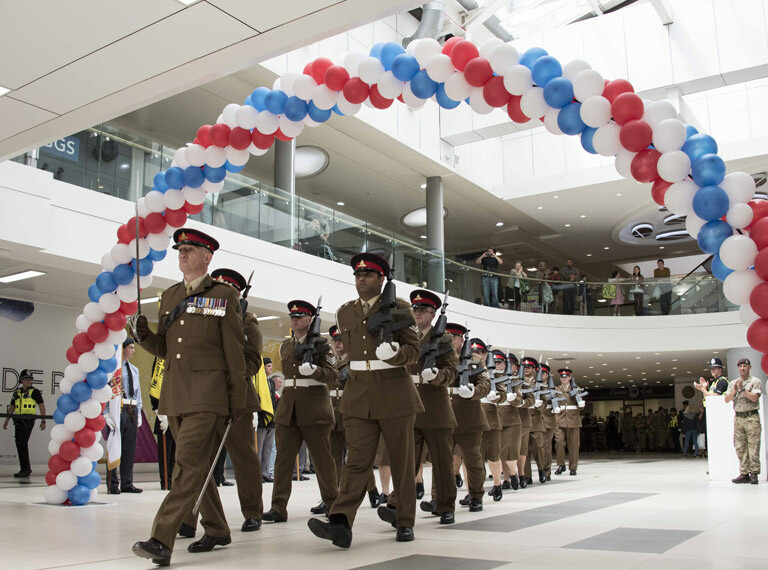 Come and enjoy the Armed Forces Day celebrations in Queen Square on Saturday 30 June from 11am – 4pm featuring live performances, demonstrations and activities, culminating with a military parade led by The Band of the Mercian Regiment. See the Miss Fortunes, the Cosford Military Wives Choir, the Royal Air Force Air Cadets Military Band, George Formby Tribute Joe James Thomas, Choirs from the City of Wolverhampton Council and Royal Wolverhampton Hospital Trust, and many more - introduced and compered by Professional Toastmaster James Pugh. There will be stalls in Dudley Street with have-a-go activities and competitions. Pull up a sandbag and chat to veterans from all ages and backgrounds at a special ‘Meet a Veteran’ hosted by SSAFA and Age UK between 11am and 2.30pm. There’ll be the opportunity to test your aerodynamic skills when the Air Training Corps invite you to take the paper airplane challenge. The University of Wolverhampton’s School of Sciences will be bringing mind-blowing experiments and fun challenges including how to use a microscope in their ‘tweezer teaser challenge’ and learn how the body works in the body puzzle. If you are brave enough you can even make your own infected snot sample, investigate the science of microbiology and discover the importance of how scientists keep us safe from disease. In addition a range of charities and organisations will be offering information including all you need to know about becoming a Cadet or how to get into the military. Come and speak to Help for Heroes, the Royal British Legion, The Way, Staffordshire Regimental Association, Go Outdoors, University of Wolverhampton, Scotty's Little Soldiers, the Royal Air Forces Association, B Company Air Cadets and the Royal Air Force Cadets. The celebrations will culminate with a military parade led by The Band of the Mercian Regiment and a flag lowering ceremony comprising of around 200 military personnel from HMS Forward, the Army and RAF Cosford, cadets, veterans and standard bearers. The parade will step off from Bilston Street (nr Primark) at 3.30pm and march forward into Dudley Street and Queen Square where they will be met by a lining party of cadets, veterans and standard bearers. View the full programme and performance times below. 11.10am - Fun with science -Wolverhampton Universities’ fantastic award winning science communication team ‘The Science Objective’ are going to bring the magic of science to Queen Square in a mind boggling and explosive science extravaganza. The timings and performers listed above could change before the event and on the day. Please check back to this page for the latest information. 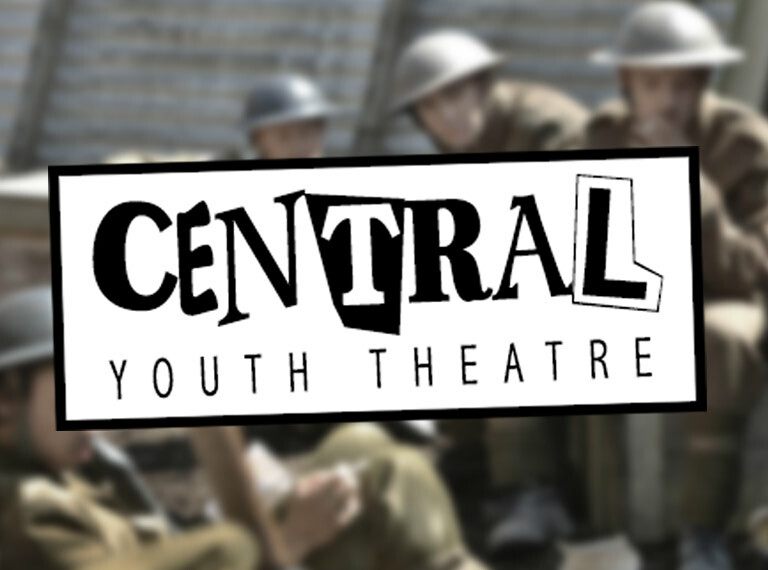 - a programme of work commemorating 100 years since the end of WW1, taking place at various times and locations.